First things first: For those of us who are unschooled, just what exactly are Esports? “While casual Esports players often play against themselves (or against the game itself) on a gaming console system, arena Esports are usually played on computers by multi-player teams battling against other teams who may in the same room or across the ocean. Each player has a different role that supports the other players in collective pursuit of the overall objective of the game, much like baseball, football or baseball. How does one get started in Esports? MW: “Many single player games are available to play online via free download. However, there is a strong social aspect to Esports in which gamers like to come together and share experiences. That’s why clubs like UTA’s Esports Club has weekly LAN (local area network) parties and other events. Why do you think that the popularity of Esports has surged in recent years? 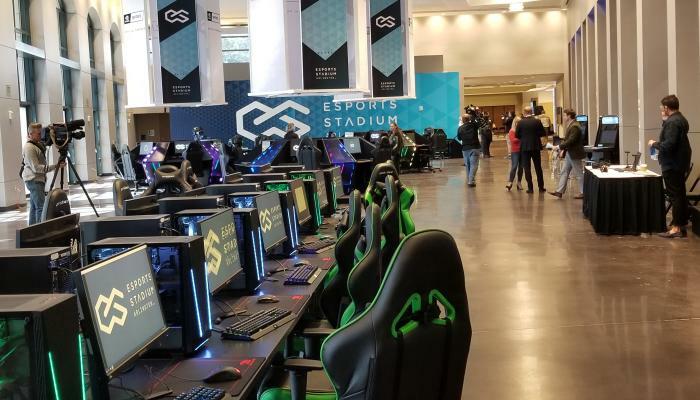 What should you know if you’re headed to watch your first Esports game at Esports Stadium Arlington? MW: “Like actual sports, it helps if you understand game structure and strategy, which usually comes from having tried out the game yourself. But fans can come and support their team even if they don’t know much about the game, just like any other sporting event. Tell us about the UTA Esports Club. MW: “UTA’s Esports Club is ever expanding, offering more each year and fielding competitive teams that have won regional and national championships. I am so proud of what these kids have built for all levels of gamers—not only are they competing in the big tournaments like the ones that will be held at the new stadium in Arlington, they are also hosting all-day events on campus where gamers of all abilities can socialize and compete in smaller events. It’s a very welcoming group. “By the way: UTA is about to launch a certification program for Esports. Courses will include “The History of Video Games,” ”Music and Technology in Game Audio” and “Gaming Exploration Art”. November 24-25: Esports Championship Series Season 6: Expect thrilling Counter-Strike from across the globe as EU and NA’s finest CS:GO teams compete for ECS’s top prize of $3 million. Get tickets. December 8: Collegiate Rocket League National Championship: The four best Regional Conference teams from North America will battle it out onstage for $25,000 in collegiate scholarship prizing. Get tickets. December 29: Ultimatum: Super Smash Bros Ultimate Tournament: An all-skills-level tournament that will be broadcast live on Twitch. Learn more.